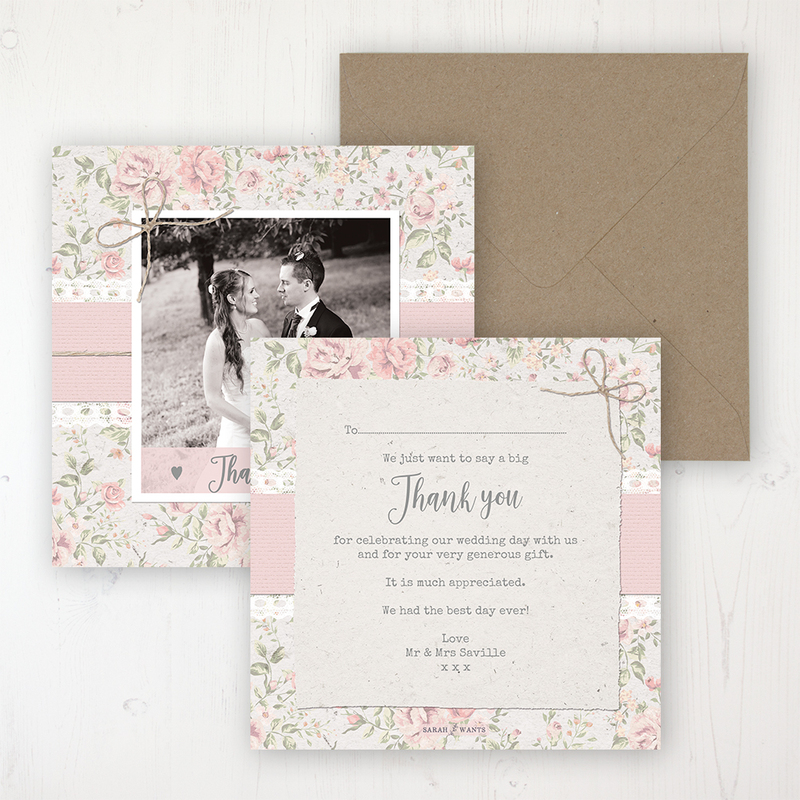 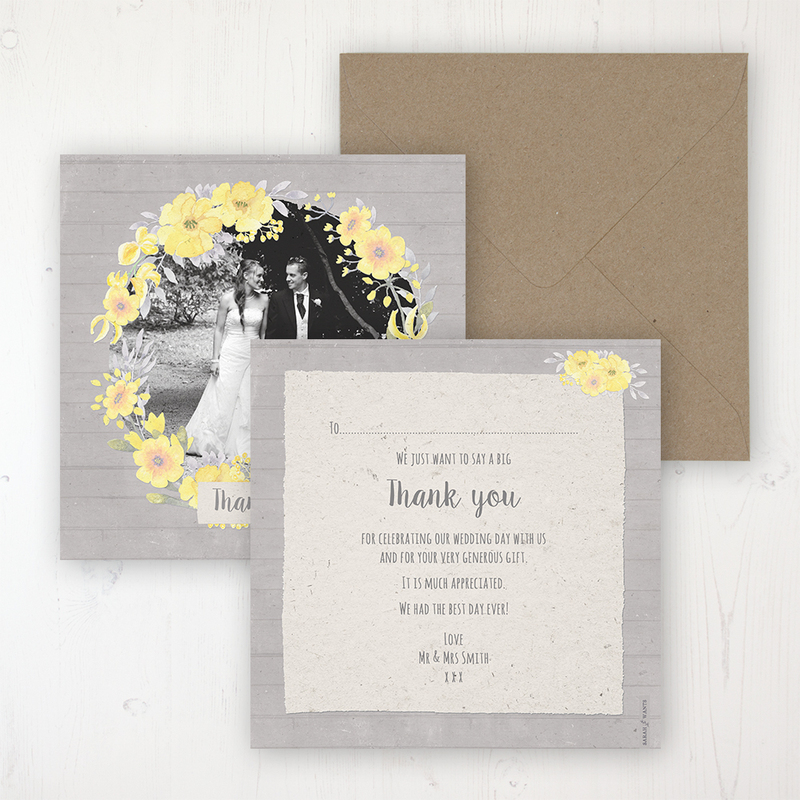 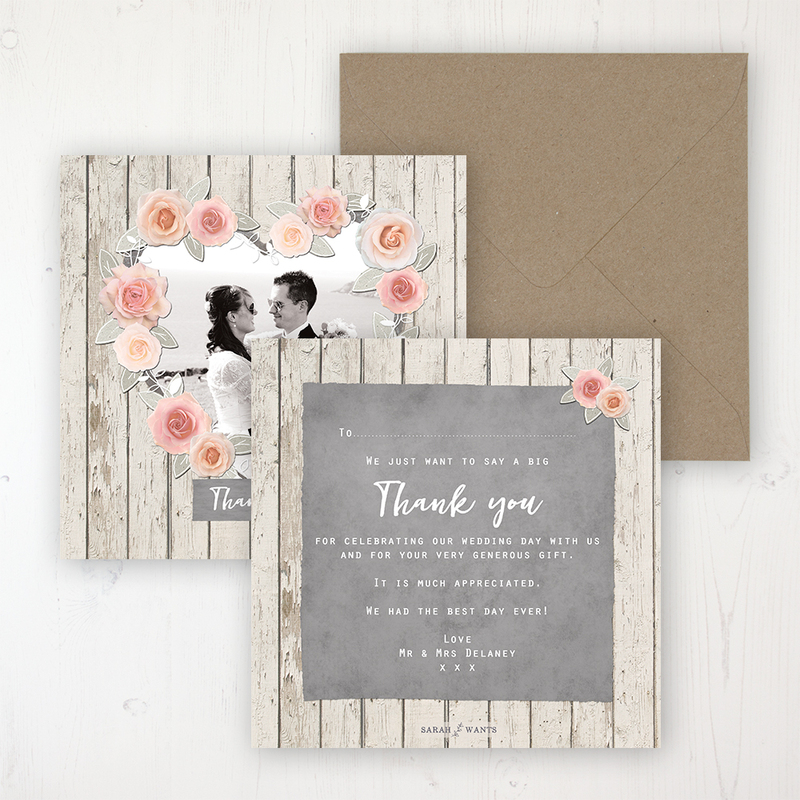 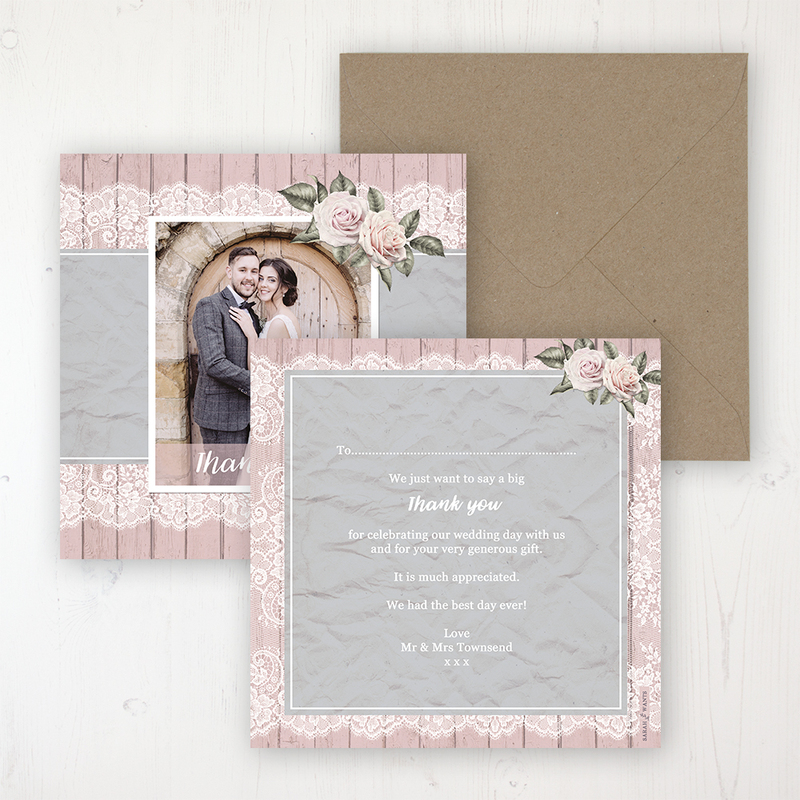 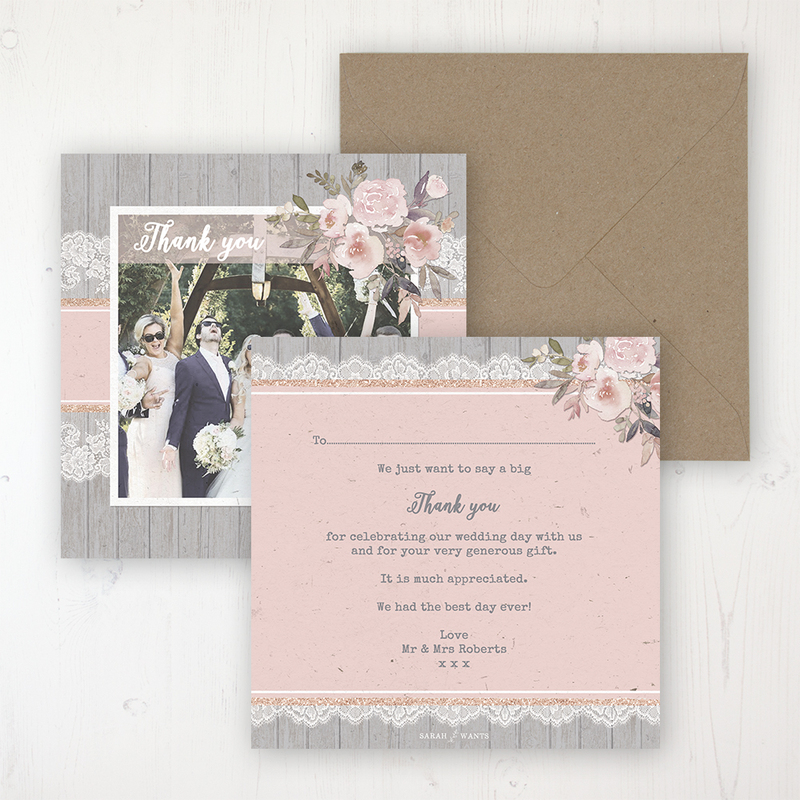 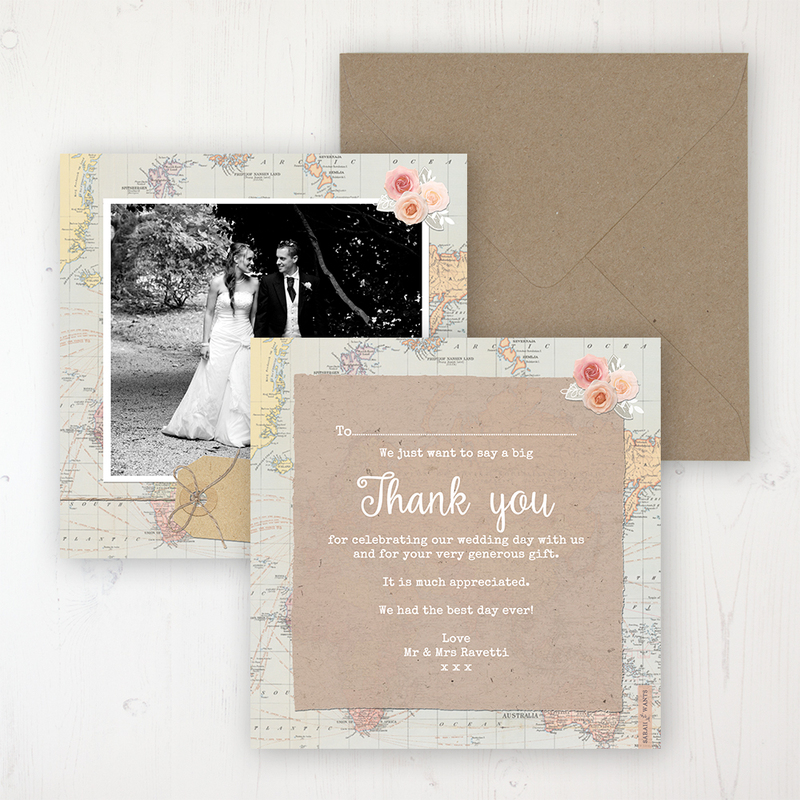 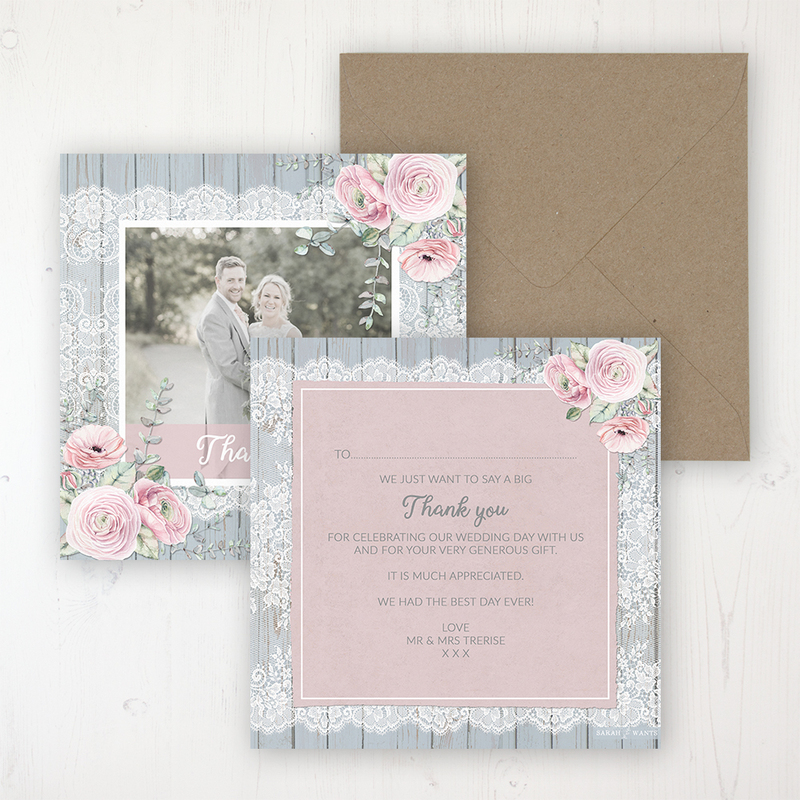 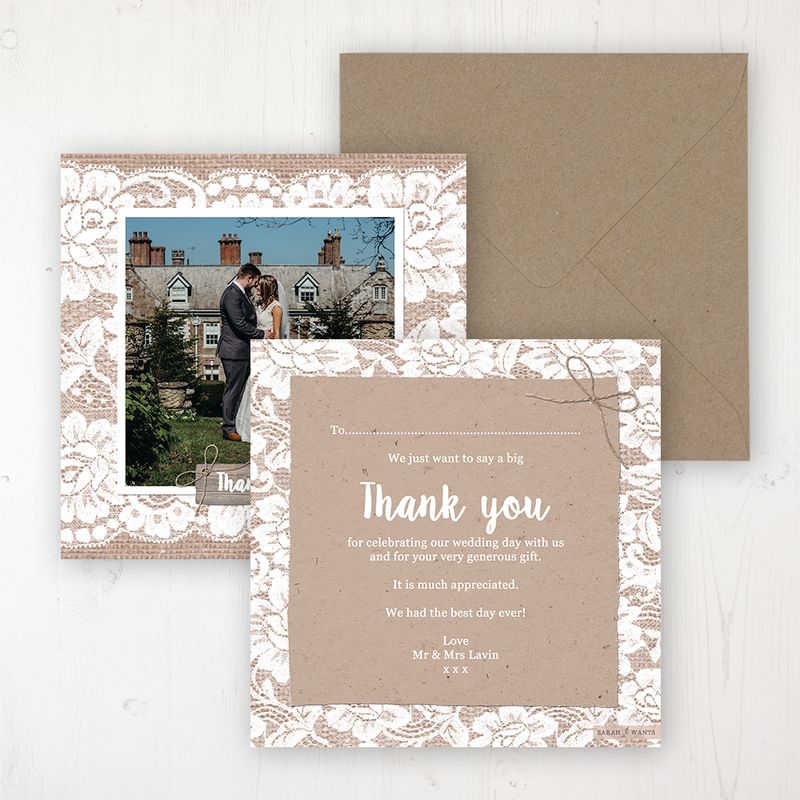 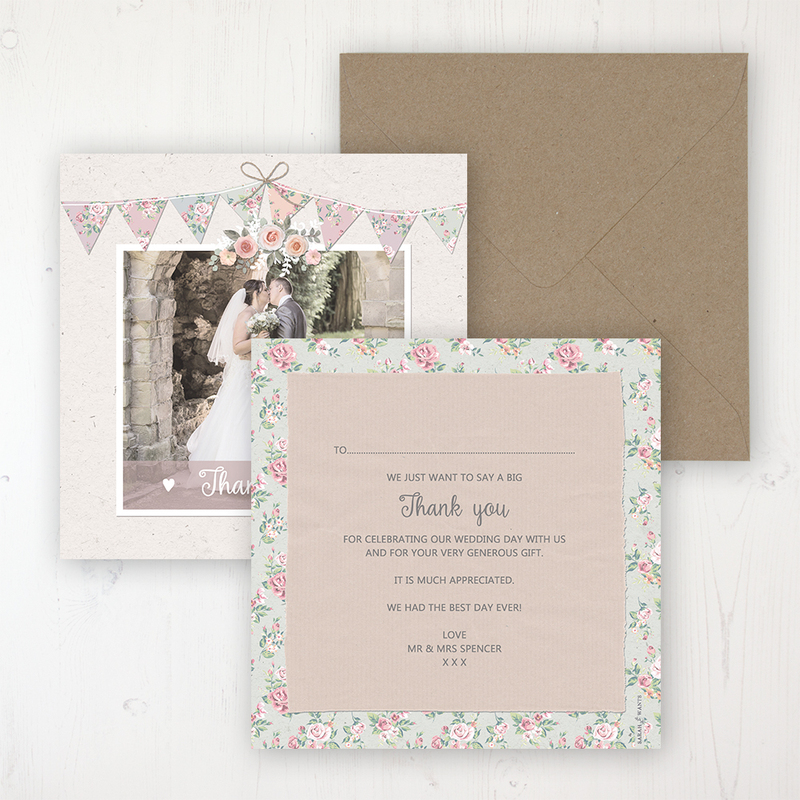 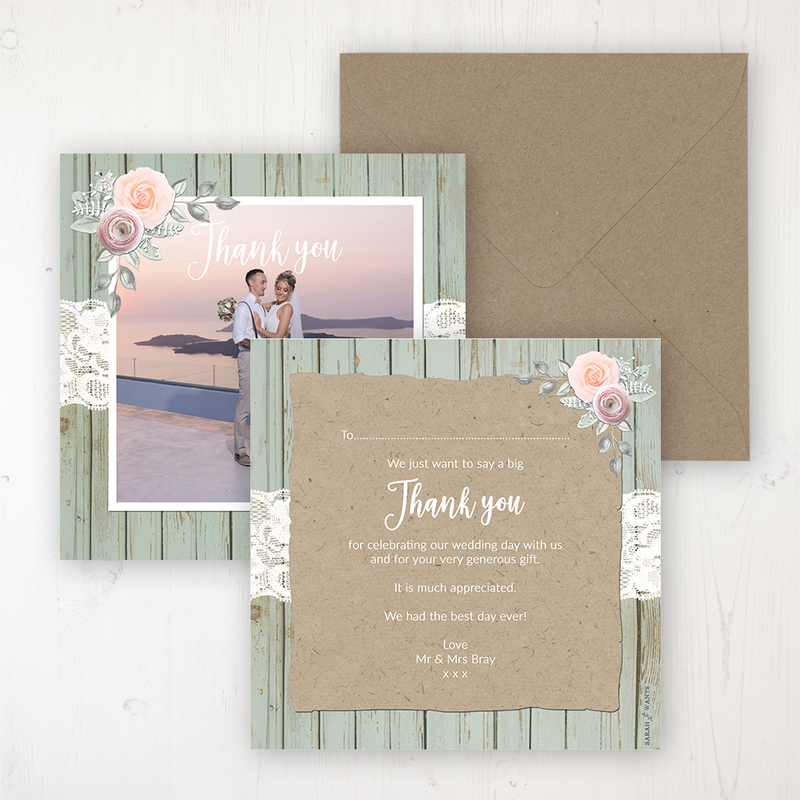 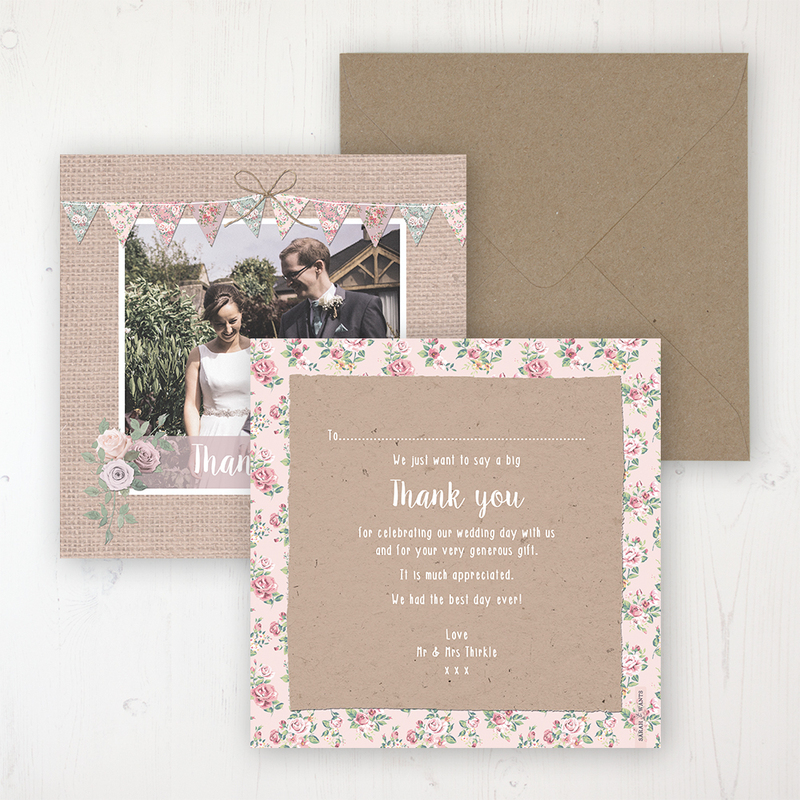 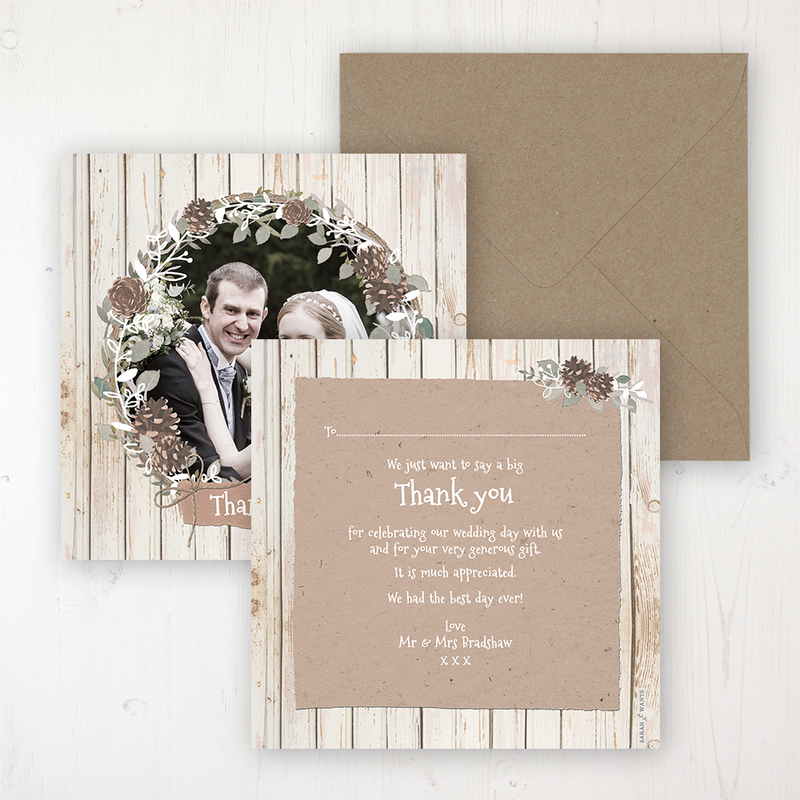 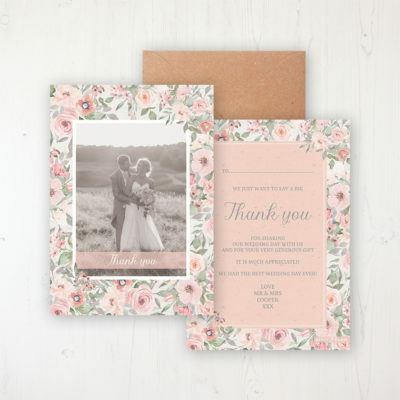 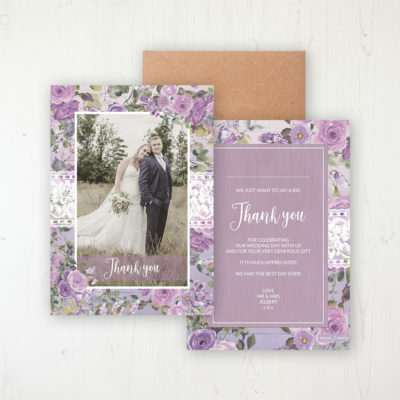 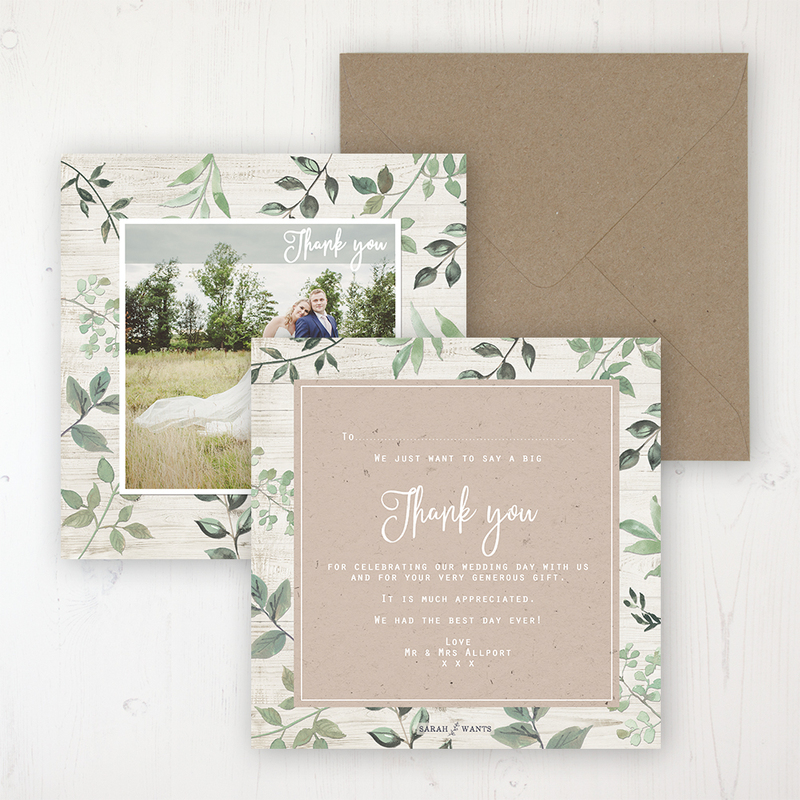 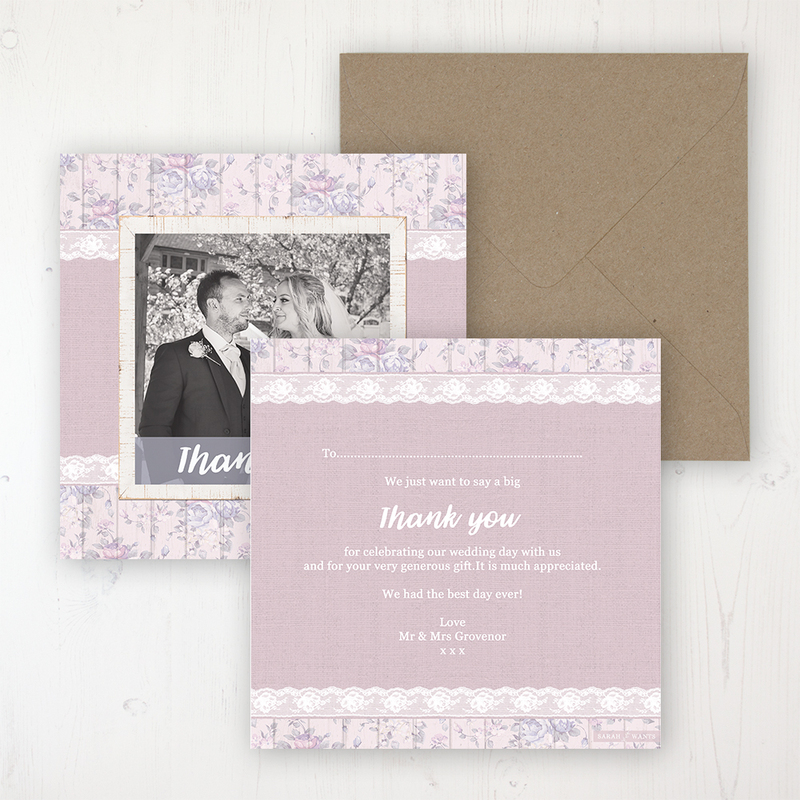 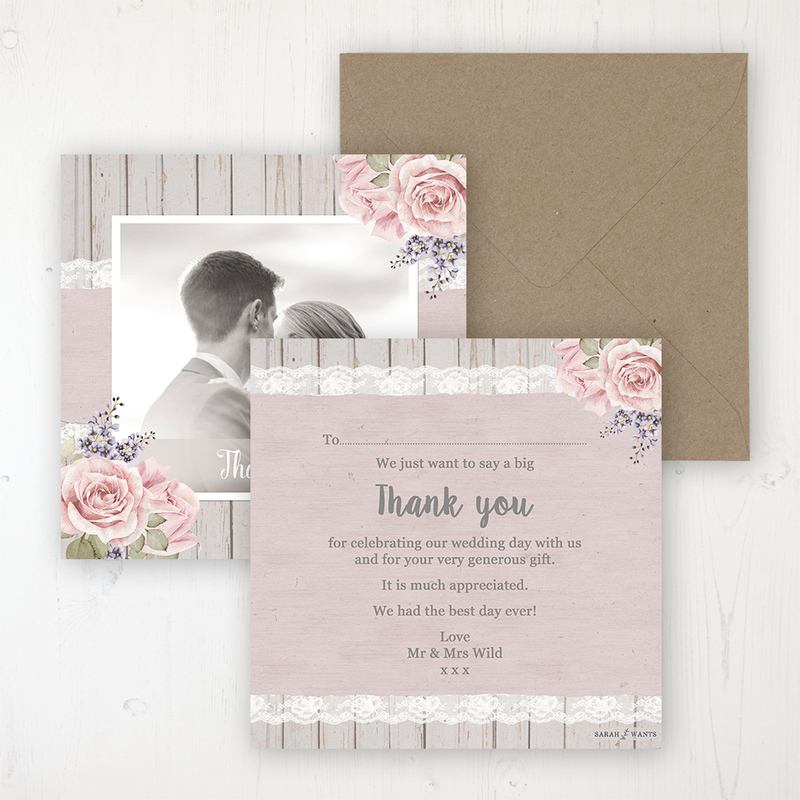 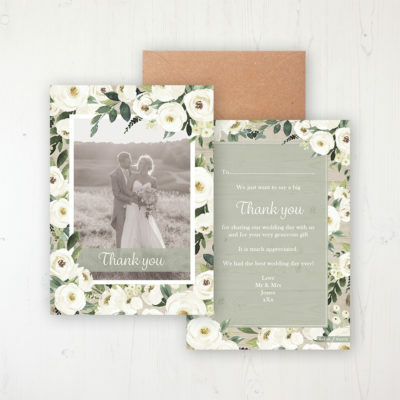 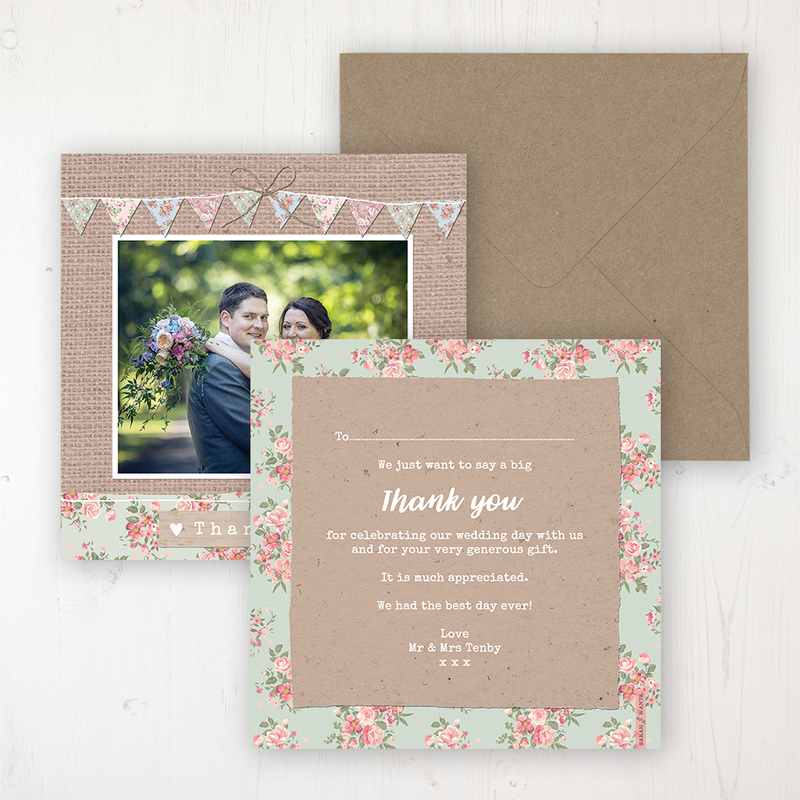 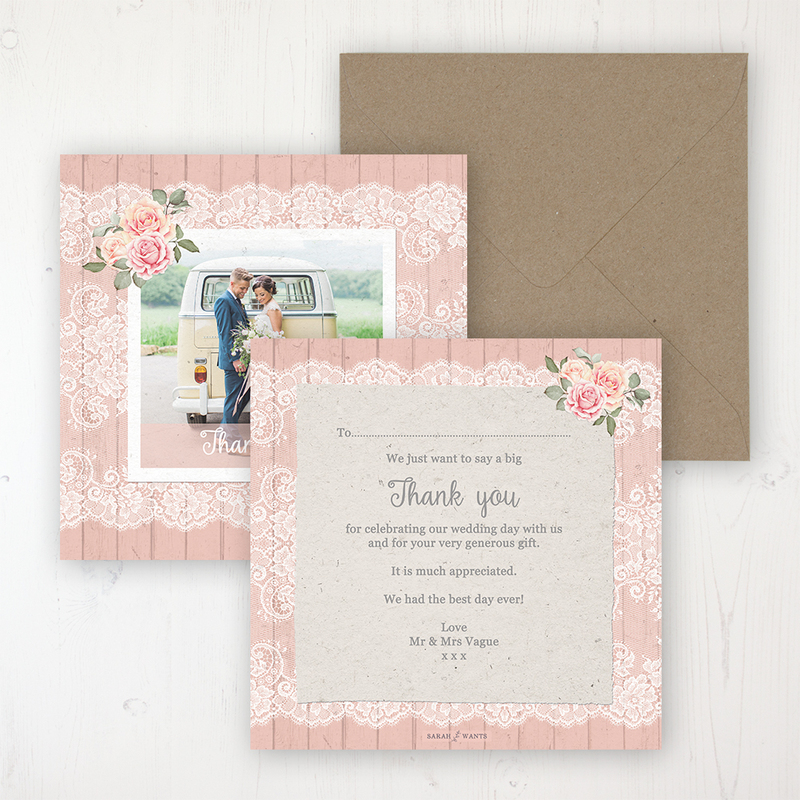 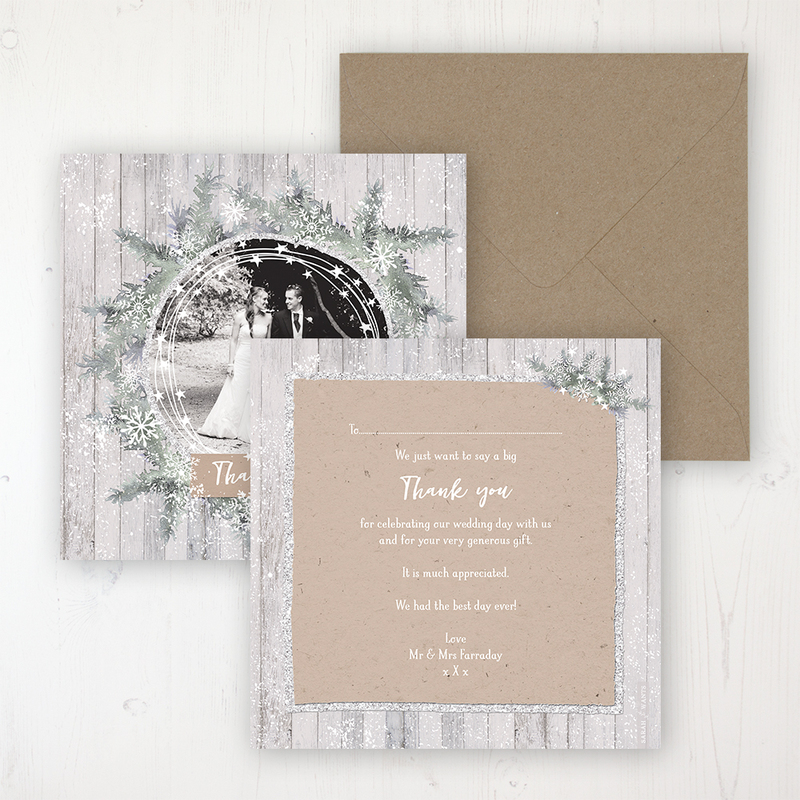 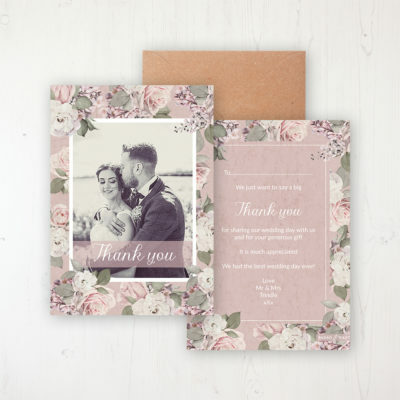 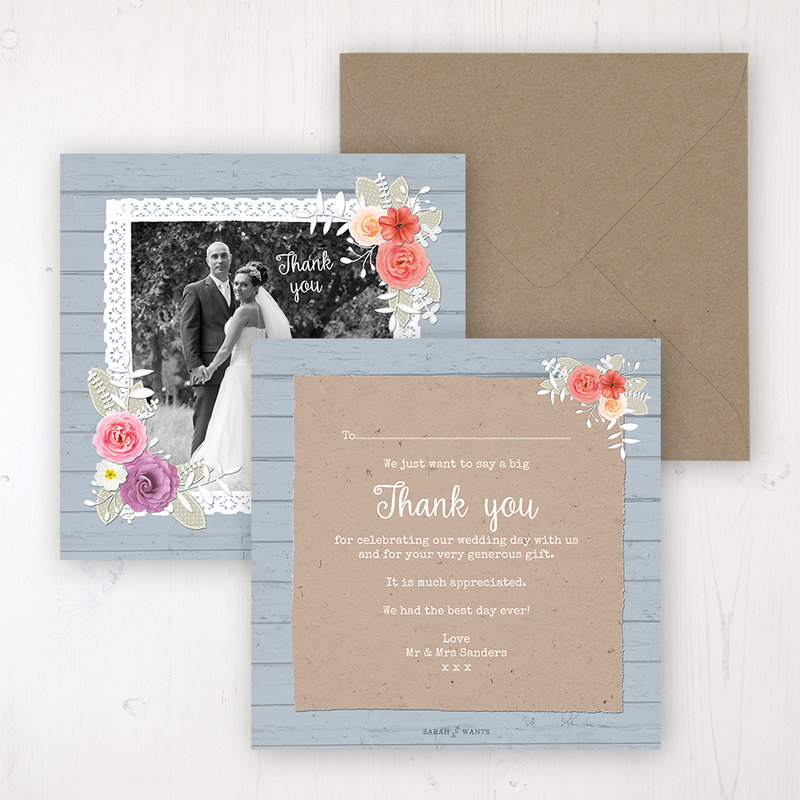 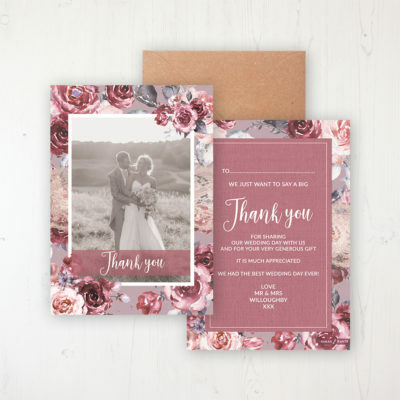 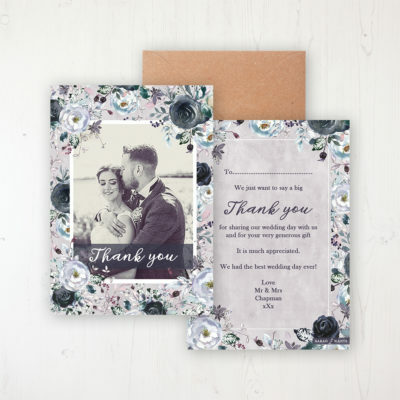 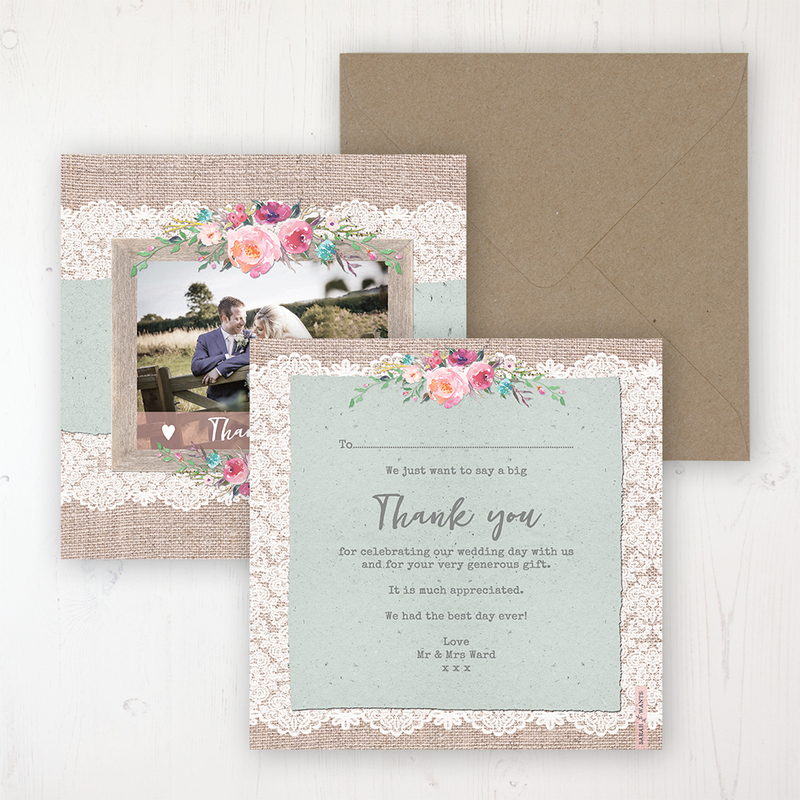 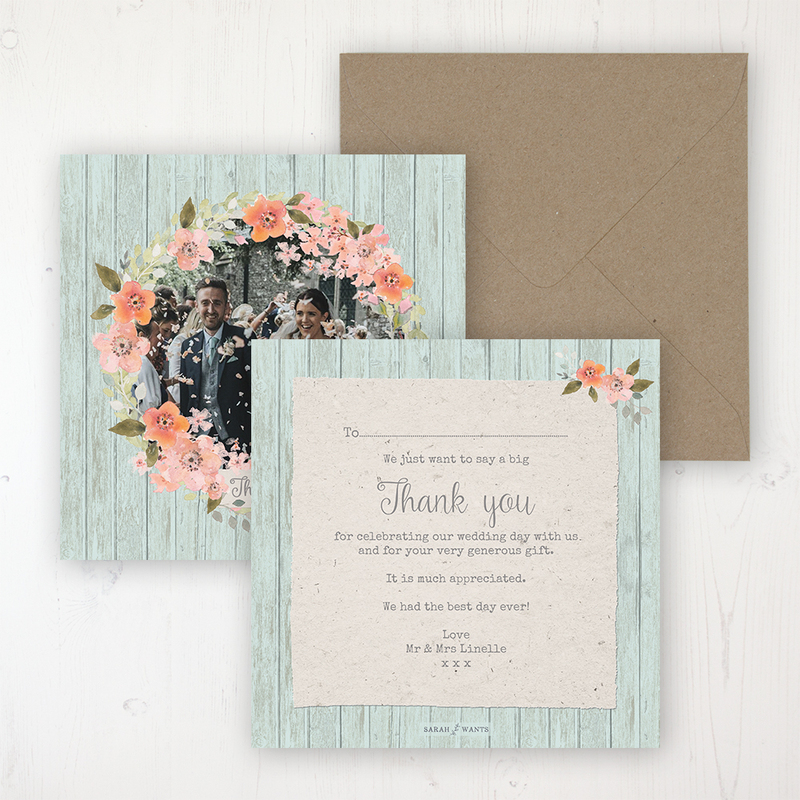 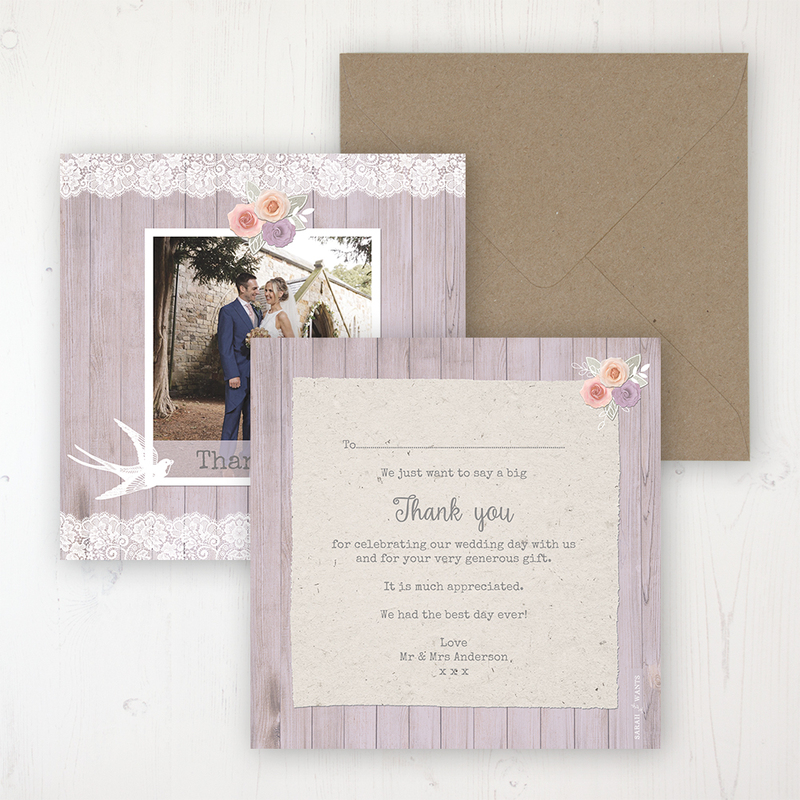 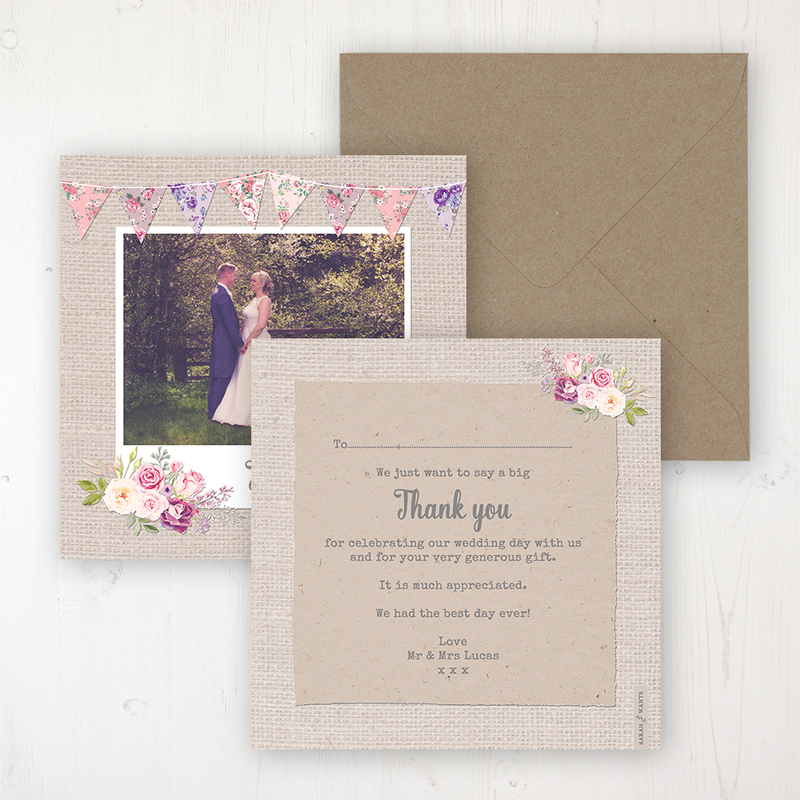 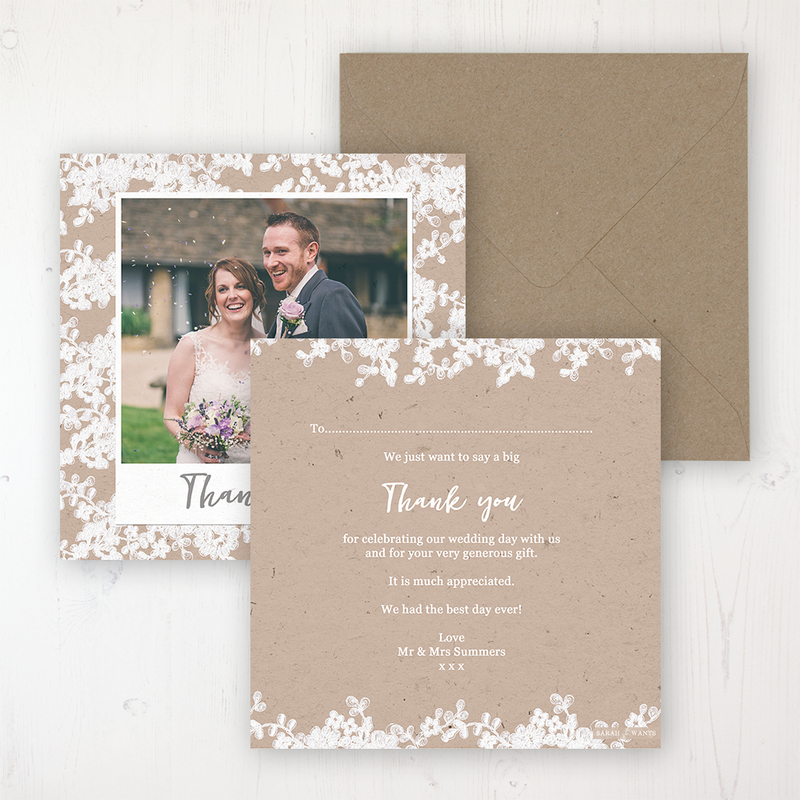 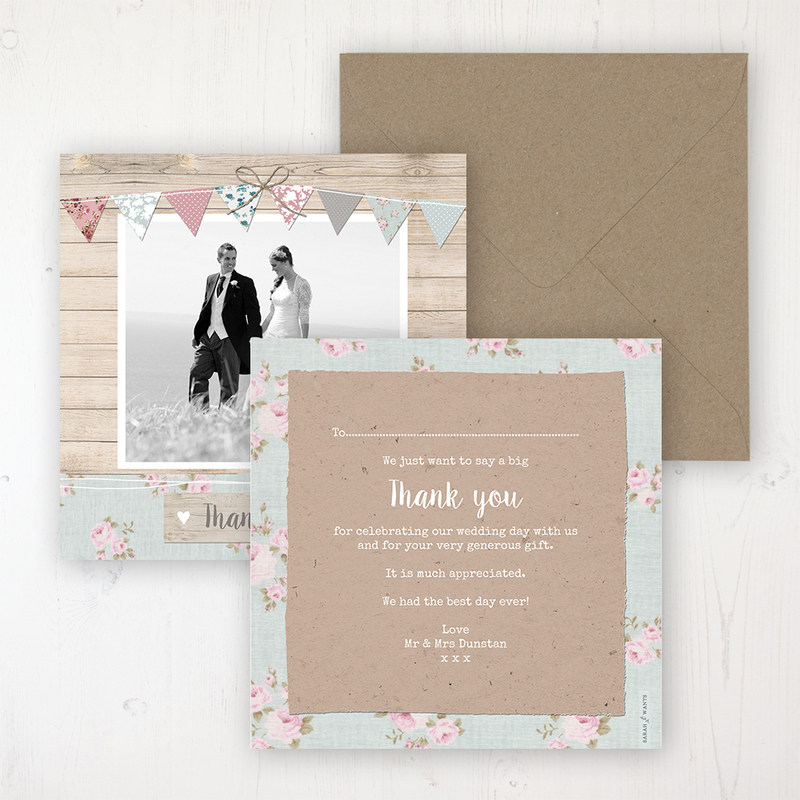 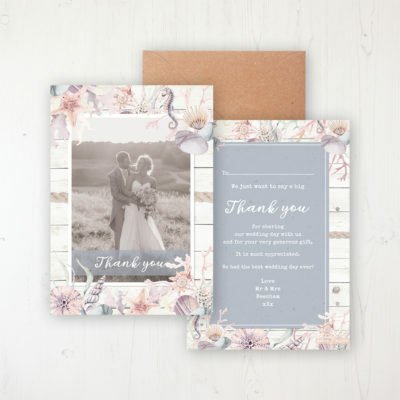 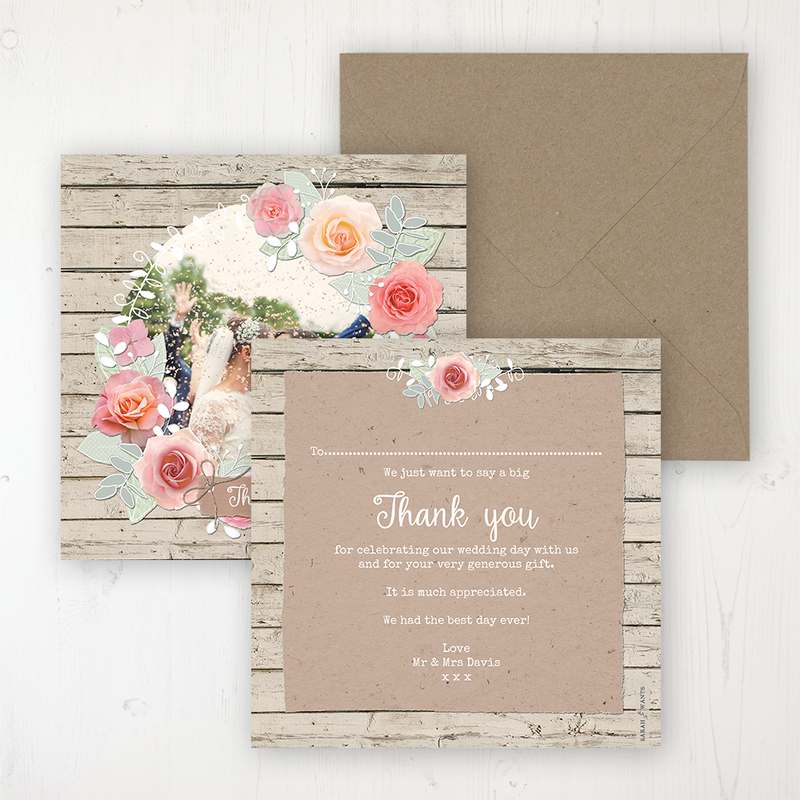 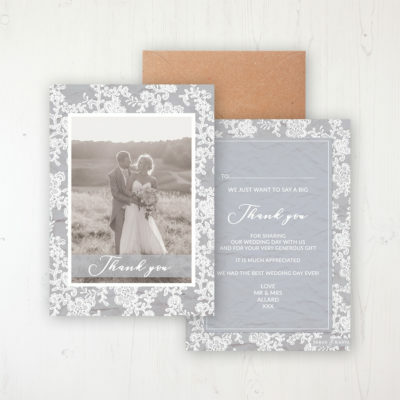 Make sure you thank all your guests for celebrating your wedding day with you and for any gifts you received with some thank you cards. 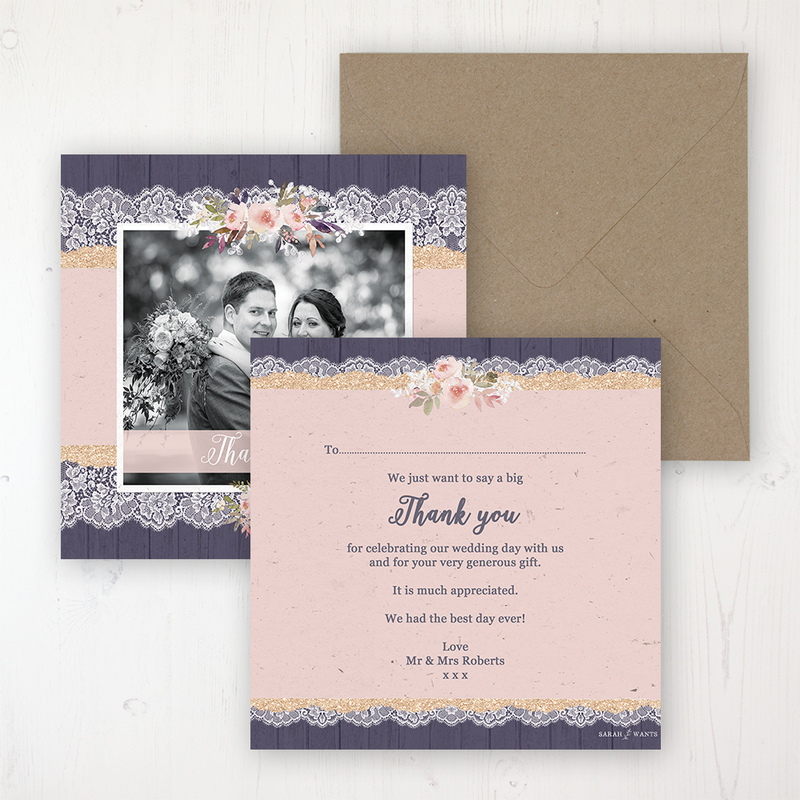 Flat and Folded versions are available here. 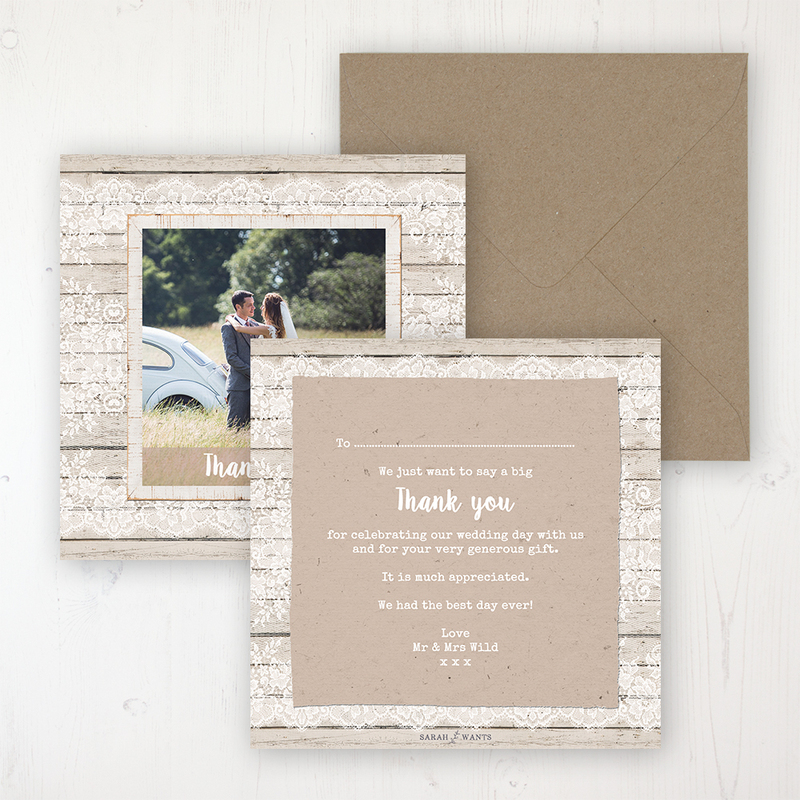 Add a photo to create the perfect memento of the day and have a personal message printed or leave them blank to handwrite your own.